“Breakfast with Neil Sedaka” is a fun trip down memory lane where you’ll not only enjoy great music, but you’ll be enjoying a hearty breakfast as well. This music show in Branson shares the astonishing musical legacy of Neil Sedaka as a pianist, composer, and vocalist. This show not only pays tribute to Neil Sedaka, but also to The Carpenters and Captain and Tennille. If you love the music of their era, this is a show not to be missed while you are in Branson. 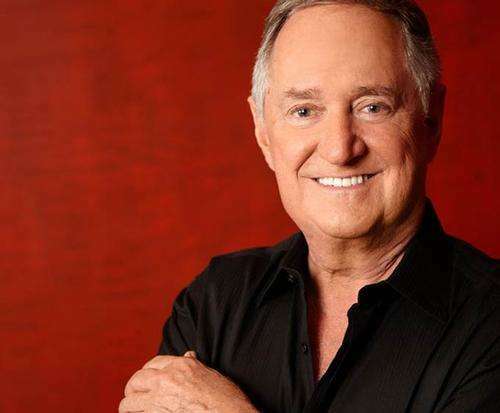 “Breakfast with Neil Sedaka” will be hosted at God & Country Theater at 1840 West Highway 76 and will start at 8:30 am and show begins at 9:00 am. You will hear great music that will bring back memories from hits such as “Breaking Up Is Hard to Do,” “Calendar Girl,” “Oh! Carol,” “Love Will Keep Us Together,” “Muskrat Love,” “Do That To Me One More Time,” “Close To You,” “We’ve Only Just Begun,” and more of the best songs that sold millions of their fabulous hits. This tribute show to the three legendary pop music artists is sure to make you fall in love with the music all over again. This is a music show where your ear perks up and you’ll say ‘I like that song!’ Just imagine the fantastic songs you’ll be getting from the legendary artists. You’re sure to enjoy the greatest hits of Neil Sedaka such as “Happy Birthday Sweet Sixteen,” and “Laughter in the Rain,” among others. Then you’ll also hear long string of big hits from The Carpenters that include “Top of the World,” “Close To You,” “We’ve Only Just Begun,” “Rainy Days and Mondays,” “Superstars,” and “Please Mr. Postman.” The husband and wife duo of Captain & Tennille will let you enjoy a great moment with their megahit “Love Will Keep Us Together.” You’ll enjoy even more when you hear their songs like “Muskrat Love” and “Do That To Me One More Time.” With the huge cache of sensational pop hits that you’ll enjoy in this music show in Branson, the three legendary artists share as much music as they can get into this two-hour show. The classical hits that you will hear from three unforgettable acts – artists that inspired many of their fans with one hit after another in the 50’s, 60’s, 70’s, and 80’s – all the special musical moments from four decades of great music – when it comes to this amazing music show in Branson, you will find it’s truly a captivating trip down memory lane. Don’t miss to hear incredible music that includes the best of Neil Sedaka, The Carpenters, and Capt. & Tennille. Throughout the course of the show you will hear some of the timeless classics that generations of music fans have grown up loving. In this fascinating music show in Branson, you can experience for yourself some of the most nostalgic and classic music that takes you through some of the hits that the three legendary artists made famous.